Athens may at times appear chaotic, as it is really busy and loud compared to other European capitals. However, do not let this fact overwhelm you and discourage you from exploring the city, as you will miss an opportunity to have a genuinely nice time. There are so many different and cool things to do and explore in Athens, so whatever your interests, hobbies and preferences are, I can guarantee you that you will find something fun to do in the Greek capital. Here are a few suggestions for you in order to get started! 1. Get Yourself an Energy Kick! If you are of the athletic type, there are several things you can try during your stay in the Greek capital. You can go hiking in Hymettus mountain (also known as Trellóvouno – crazy mountain) or in Parnitha, the highest mountain in the Attica peninsula. In Parnitha you will also find a few places of historical interest, like the ancient Athenian fortresses against the Boeotians and the Monastery of Kleiston. Alternatively, in the city center you can try our wooden bike cycling tour or jogging through the cultural landmarks of Athens, while yoga events in the parks are very popular during spring and summer months. Moreover, leisure activities that tend to attract tourist are water sports, beach sports and snorkeling. 2. Watch the Sunset from the Highest Point of Athens! The Lycabettus Hill, located in central Athens, is the highest peak of the city center with a lovely view. You can reach the hilltop either with the funicular railway (which costs 7 euros both ways) or by walking through an easy pathway (approximately 15-20 mins). At the top you will find the little 19th century Chapel of St. George, a restaurant and a coffee area, and also a large open-air amphitheater, which has hosted many concerts and artists such as Bob Dylan, Nick Cave, Morrissey, Radiohead and Patti Smith, among others. Even though, Lycabettus Hill is accessible all day until 2.30 am, it is best enjoyed in the afternoon, when the sun starts setting. The Aegean Sea surrounding Athens combined with the lighted up historical landmarks (the Acropolis, the Panathenaic Stadium, the Ancient Agora and the Temple of Zeus), create an idyllic scenery, perfect for the romantic souls. The sunset can also be enjoyed at Philopappou hill, where a magnificent view to Acropolis can be accompanied by stories of gods and legends in our Mythological 'Boudoir of the Gods' tour! 3. Watch a Movie Under the Stars! One much loved summer tradition of the Greeks for almost a century now is watching movies in one of the many open-air movie theaters around the country, in Greek called therino. There are around 90 outdoors cinemas in Athens (in the 1960s there were more than 600! ), most commonly on roofs, in parks, on the beach, generally with a nice view. The movies shown, either new releases or older ones, will be in their original production language with Greek subtitles (some children’s animation movies however may be dubbed), and you can enjoy them under the moon and stars, with the sound of the butter popcorn machine and the smell of oleander and night-blooming jasmine adding a little bit of nostalgia to the whole experience. 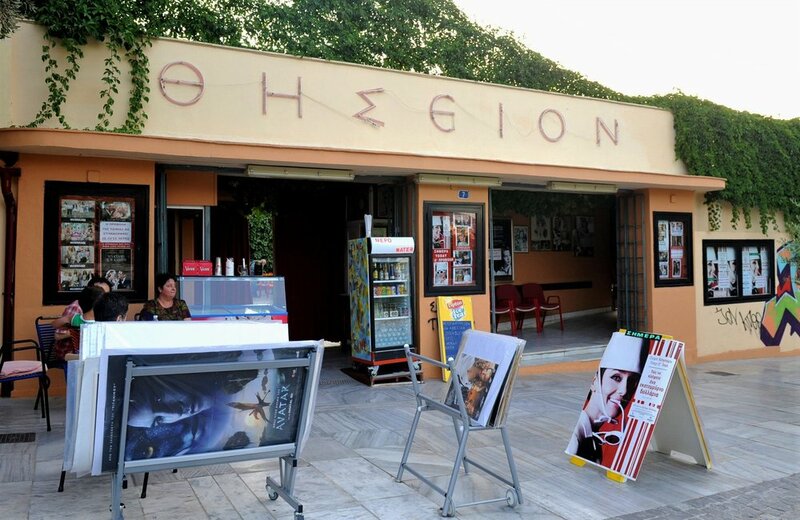 Some outdoors cinemas you can check out are the oldest in Athens, Cine Paris, the beautiful Cine Thisseion with a direct view to the Acropolis, Cine Flisvos by the beach and the more intellectual Cine Zefyros (Troon 36, Petralona). See the best of the city in a day! 4. Visit the Exarcheia District! If you consider yourself a little bit more alternative and you want to see something different, then maybe it is worth visiting Exarcheia, a lively neighborhood, between Kolonaki, Patission Str. and Alexandras Ave. Exarcheia has been for years the hangout for artists, architects, intellectuals, punks and students, thanks to its proximity to the National Metsovian Polytechnic and some University of Athens buildings. The street-art and graffities are imaginative and interesting, while you will find vinyl record stores, bookstores, alternative clothing and second-hand shops. For food there are many traditional places with good mezedes, like Tzeremes (Emmanouil Mpenaki 67) and Mpereketi (Andrea Metaxa 13), but also a lot of tasty street food, as well as vegetarian and vegan options. For evening entertainment, you can choose between alternative cultural hangouts, regular live music events and arty and rock bars in abundance. Maybe Exarcheia is not the perfect place for business meetings or for families with young children, but if you are into music and arts or just want to meet the Athenian youth, then give it a go. Greek food is so delicious, you just can’t have enough of it. In tavernas, like Rozalia (Valtetsiou 59, Exarcheia), you can try all the traditional dishes you probably have heard of (greek salad, moussakas, pastitsio, tzatziki, fava, zucchini balls, gemista – stuffed vegetables with rice), while Athens also has many street food options. Taste kalamaki with fries from Elvis (Plataion 29, Metaksourgeio), good quality sandwiches from To San Francisco (Kerameikou 99), falafel from Falafellas (Aiolou 51), souvlaki from Kostas (Pentelis 5, Syntagma), as well as traditional cheese pies and spinach pies from the many bakeries of Athens. For a traditional experience, you need to visit one of the many mezedopoleia, like the somewhat hidden Avli (Agiou Dimitriou 12, Psyrri), where you can enjoy great food with wine or raki in a lovely environment reminding a Greek island. Read our recommendations about the top street food spots in Athens here! 6. Discover the Ancient Wonders! Athens is basically a big archaeological museum itself and therefore, the perfect destination for all the history lovers out there, or for anyone who is interested in archaeology and cultural heritage. All our top suggestions of historical sites in Athens can be found here. Moreover, you may not want to miss the many archaeological museums of Athens, like the Acropolis Museum, the National Archaeological Museum and the Museum of Cycladic Art. Another alternative for the archaeology lovers is the relatively new (2015) Digital Museum of Plato’s Academy. Plato was an ancient Greek philosopher and is considered one of the founders of Western philosophy and science, whereas his Academy was the first university of the Western world, carrying out multidisciplinary research. Interested in exploring something new? Exercise your photos skills while visiting the main attractions of Athens in our original "Athens Instagram Photo" tour! 7. Get Inspired with Art Museums and Art Galleries! Apart from the archaeological museums and historical sites, Athens can also be appealing to the arty ones, having a lot of art museums, exhibitions and art galleries, like the Breeder Gallery. Do not miss the National Museum of Contemporary Art, while Benaki Museum, Frissiras Gallery and the National Gallery - Alexandros Soutzos Museum are also worth visiting. Furthermore, many interesting events and exhibitions are constantly being hosted at the Onassis Cultural Center, the Stavros Niarchos Foundation Cultural Centre and The Art Foundation. Athens has a very vibrant artistic scene, with many cultural events and happenings occurring all the time, so stay tuned and have your eyes and ears open and you will be pleasantly surprised. 8. Stay up All Night! If you enjoy a good night out until the morning hours, then I can guarantee you that you will definitely love Athens. The Greeks tend to get out late and stay out until late, especially during the weekends and the summertime, making you sometimes feel that this city never sleeps. There are many different bars, clubs and live venues to choose from depending on your personal preferences and music taste. 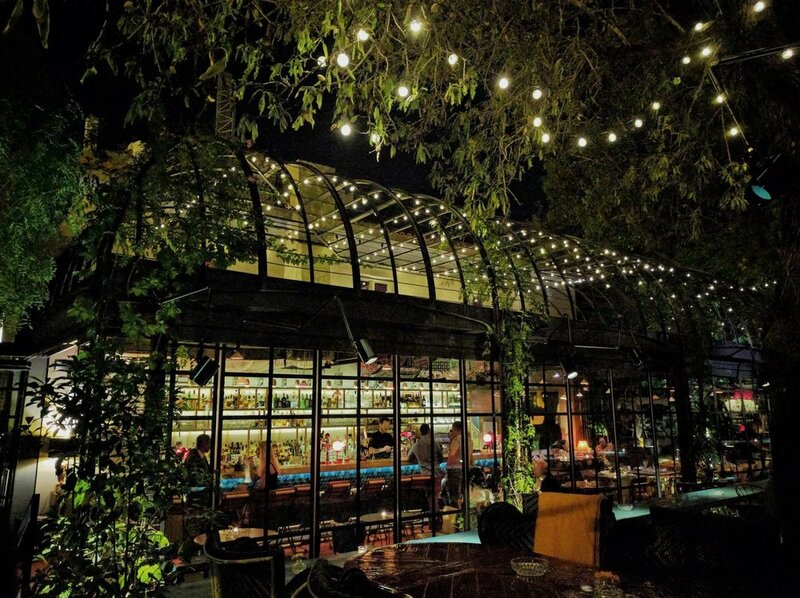 Busy areas in the city center with plenty of bars and happenings are the mainstream Gazi, Metaksourgeio, Monastiraki, Psirri and Kolonaki, to name a few, and Chalandri and Kifissia in the northern part of the city. When the temperature rises during summer plenty of beach bars are open outside the center with live DJs and parties, while enjoying a cocktail at the rooftop bars of Athens is a great option for a night out. 9. Escape the City Center for the Day! If you want to take a break from the busy city center, a good idea is to plan a day trip outside Athens in order to relax and see more of Greece than just the capital. Check out our top 9 suggestions for day trips from Athens here. Other alternatives are the beautiful island of Agistri (boats from the port of Piraeus leave every 10 minutes), Vravrona in Eastern Attica, where you can visit the ancient Temple of Artemis, and our Corinthian Village Quest. Furthermore, you can visit the very romantic seaport town of Nafplio in the Peloponnese, with its charming little pedestrian streets, the Venetian fortifications, architectural style and urban sculpture, Palamidi (a fortress on a 216-metre high hill), Bourtzi (a water castle built for protection against pirates) and many shops with tasty gelato. Finally, you can plan a day trip to Kalavryta, a picturesque town in the mountains of the Peloponnese. From here you can visit the historical monastery of Agia Lavra, the Mega Spileo Monastery built in a cave, the stunning Cave of Lakes, and of course the little town square of Kalavryta where you can try delicious yogurt with mountain honey and nuts. 10. Dance and Feel the Music Vibes at the Open-air Music Festivals! When the weather starts getting warmer in Greece, Athenians naturally tend to spend more and more time outdoors and celebrate summer and life. If you are a music and festival fan, you may consider going to one of the music festivals of Athens, where you can dance, listen to music, drink cold beer, enjoy the good weather and meet people. The most well-known are Ejekt Festival, Rockwave Festival and Plisskën Festival (sometimes organized during Winter). For those of you who don’t mind getting dirty, go and have a blast at the Colour Day Festival, a big celebration of music, color and life. Other options are the Technopolis Jazz Festival, as well as the more socio-political Resistance Festival and Antiracist Festival. 11. Shop at the Flea Markets! One more aspect of Greek tradition you might want to experience are the many flea markets (laiki agora) of Athens where you get a true vibe of everyday life in Athens while – who knows – you may end up buying things. People’s markets were established in Greece by Eleftherios Venizelos (Prime Minister of Greece from 1910 to 1915) to support and strengthen local production. In flea markets you can find pretty much everything; fresh vegetables and foods, herbs and spices, fresh meat and fish, olive oil, wine, agricultural products, household equipment, clothes, antiques, second-hand items and of course souvenirs. Check our list for what to buy in Greece here, or build your own unique souvenir in our creative Make Your Own Souvenir Workshop. Flea markets are fun, even though they can get crowded and loud, as you can see all the different Greek agricultural products, taste them and bargain for better prices. The big Athenian flea markets are the Monastiraki Flea Market, Varvakeios market and Evripidou Street Market, however there is a laiki agora in almost every neighborhood of Athens. It is best to be careful of your wallet and personal belongings, as it can get busy. I have never been stolen at a flea market, but better to be safe than sorry! 12. Enjoy Coffee in the Sun! Greeks love their coffee, and they especially love enjoying it in the sun. Going to coffee places with friends is some sort of a social ritual for Greeks, especially for younger ages. You will find coffee shops, coffee bars and kafeneia, everywhere, filled with customers at all times, and often with tables taking over the pavements. When the sun is shining, Athenians will storm out to the city center and spend a few hours savoring their coffee time while getting a tan. You can visit the many coffee bars of Athens for example in Kolonaki, Syntagma, Exarcheia and Thissio. Alternatively, you can order you coffee to take-away and drink it in the park or as you walk around the city. While you can find a variety of hot coffees, Greeks have a soft spot for the many various types of cold coffees available, with of course Frappé coffee being one of the most famous Greek drinks and the trademark of Greek coffee culture. What do you do to have fun while on vacations? Which one of the above suggestions would you follow during a trip to Athens? Let us know by commenting below!